Card Text: When this card is Normal Summoned: You can Special Summon 1 level 4 or lower HERO monster from your hand. 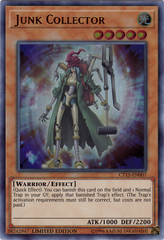 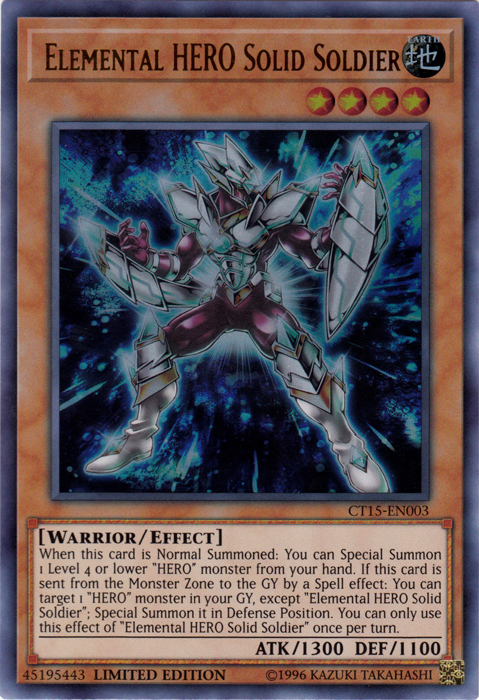 If this card is sent from the Monster Zone to the GY by a Spell effect: You can target 1 HERO monster in your GY, except Elemental HERO Solid Soldier; Special Summon it in Defense Position. 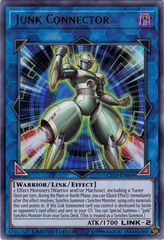 You can only use this effect of Elemental HERO Solid Soldier once per turn.